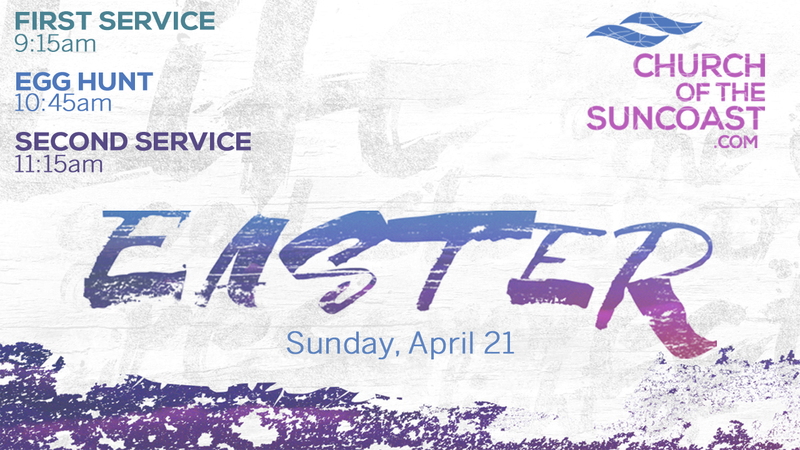 Wherever you happen to be this Easter, we want to invite you to spend Easter at the Suncoast. Simply put, our hope is that you would connect with us, celebrate with us and have a great experience with your family and friends! 10:10AM // Coastal Cafe and Coastal Kids check in opens. 10:30AM // Main service and Coastal Kids programs begin. Our service and kids programs last about an hour.